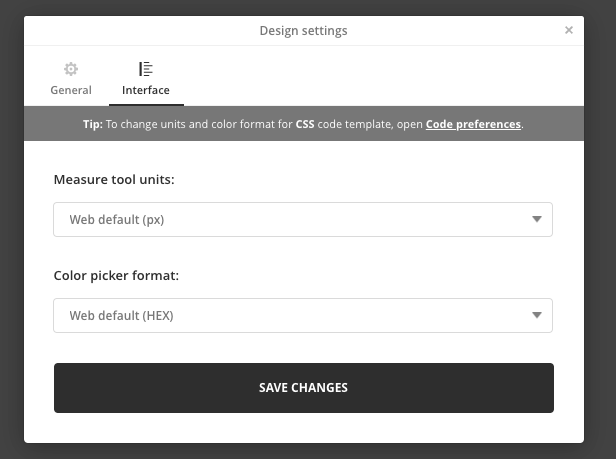 Open the Design settings, go to the second tab called “Interface” and set the desired units and color format. The default will be pre-set based on the platform (web, iOS, Android) of your project. NOTE: Interface Design settings will not be synced with your team; however, your app will remember them whenever you come back to the particular design.